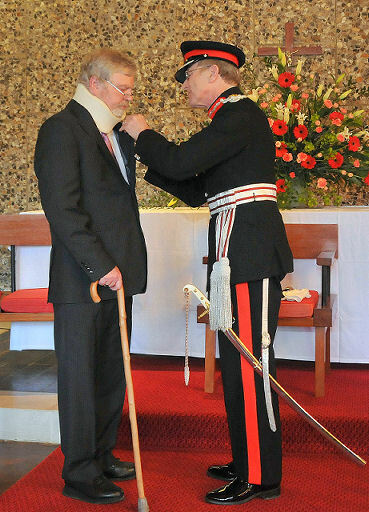 Brighton resident and charity worker Mr Robert Brown, received his MBE award from the Lord-Lieutenant of East Sussex, Mr Peter Field at a ceremony in the local community centre in Bevendean on Saturday 17th April. Also present was the Mayor of Brighton and Hove, Councillor Ann Norman. Mr Brown’s award was made in recognition of the many years of charity and community work that he has undertaken within Bevendean. Mr Brown, age 55, was registered as disabled in 1991 and has since spent his time working for local charities. 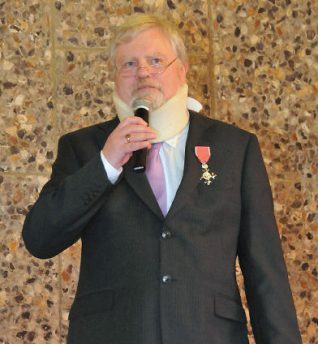 He is currently chair of a number of community groups working to improve the local area for the benefit of everyone. Is this ………? trying to track him down can any one help please. Sorry but we have had to delete your query. We are no longer allowing the posting of requests to find third parties, as sharing information like this breaches their privacy. We recommend you try Friends Reunited website if you want to track old friends or neighbours. This article does not say what year the award was made. Editor’s note: The page was published just after the award was made in 2010. Do you know these soldiers? Do you know where this laundry was? J Stuart Bremner:model train maker. Jack Galyer, Moulsecoomb School teacher. Lorna Vyse: do you know her? Remember the Kemp Town Pram Race? Which Mr Blaker built the 'Fly'?